A bed in white pure Egyptian cotton percale (406 thread count), highlighted by coloured sateen bands. Here, our best seller continues to deserve its first place with pride ! 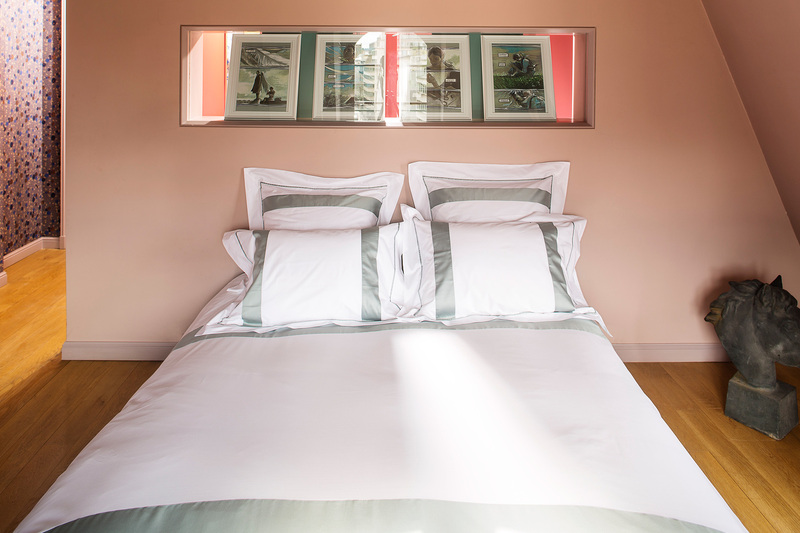 The subtle effect between the matt percale and the shiny sateen remains extremely current ! MILA was born in 1998, on the 23rd of august. Right from the start she knew what she wanted ! These definite, neat and sharp bands represent her precision, determination and cheerfulness in life ! Choose your colour according to your mood !